Johnston Carmichael is helping to develop the nation’s next generation of entrepreneurs through a mentoring programme with Young Enterprise Scotland (YES). 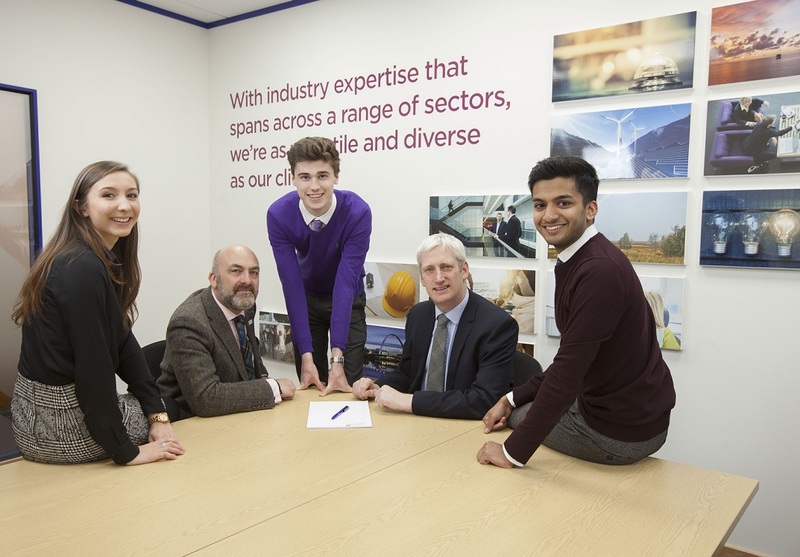 The firm will provide a group of volunteers from their offices across Scotland to support and advise the young companies taking part in YES programmes. The volunteers will help the young people to understand the challenges and opportunities involved in running a business, including accessing capital and developing products for market. The initiative will also help the Johnston Carmichael volunteers to boost their own interpersonal and mentoring skills. Among the team who will be working with YES participants is Euan McLeod, a business advisory partner based in Johnston Carmichael’s Perth office. Euan, who has been a volunteer with Young Enterprise Scotland in Tayside for several years, was crowned national YES adviser of the year in 2016 for his role in supporting Crieff High students. We’re extremely proud to support the great work of Young Enterprise Scotland. Young Enterprise Scotland was established in 1992 to inspire and equip young people to learn, develop and reach their full potential through enterprise. The organisation has since diversified to offer a variety of programmes to young people from a range of backgrounds including school pupils disadvantaged communities and the further education sector. It now has about 600 volunteers and supports around 15,000 young people of all backgrounds annually. Iain Abernethy, Head of Learning and Development at Johnston Carmichael, said: “We’re extremely proud to support the great work of Young Enterprise Scotland. It’s very important to us to encourage entrepreneurship. Many of our 14,000-plus clients are owner-managed businesses and some of the young people we help to support today could be at the helm of the companies we are working with tomorrow. “Like YES, Johnston Carmichael has a strong focus on supporting and identifying the next generation with initiatives including our JC Futures programme, which recruits school leavers to train as CAs, and providing accountancy undergraduates with work experience. “It is also very important to us to encourage entrepreneurship. Many of our 14,000-plus clients are owner-managed businesses and some of the young people we help to support today could be at the helm of the companies we are working with tomorrow. Geoff Leask, Chief Executive at YES, said: “Johnston Carmichael’s values are a natural fit with Young Enterprise Scotland and we are delighted to welcome volunteers from the organisation to our YES family. This initiative with YES is part of a series planned by Johnston Carmichael to support Scotland’s Year of Young People 2018. Enterprise and regeneration is one of the six key themes of the year. The first school leaver appointed by Johnston Carmichael has graduated as a chartered accountant. Calum Macdonald, from Houston, Renfrewshire, joined the firm almost six years ago as part of the JC Futures programme after leaving Gryffe High School. The 23-year-old attended an admission ceremony in Edinburgh on Saturday 17 March, where he officially became a chartered accountant.